The world of online marketing is rapidly changing and a lot of times – complex. Technology advances and newer platforms rise in an infinite possible way allowing people to interact online differently each time. While this makes operating an ecommerce business challenging, there is no need to get overwhelmed. There are various ways to creatively improve ecommerce customer experience that will generally increase customer loyalty and ultimately your profits. People who already knows what they are looking for. Shoppers who know exactly what they want will go directly to the product search bar. When strategically placed, your customers will easily find what they are looking for. You may also want to incorporate autocomplete so you can assist shoppers who can’t remember the exact product name. This significantly improves the customer experience. People who are browsing your ecommerce website. Shoppers who browse your site need a variety of sorting options such as brand, color, price and size. You should allow them to personalize the search experience. People who need assistance in filtering products. These are people who have specific criteria for their product search but don’t generally know what they want. You might want to include product features in the sorting options so the filtering of products becomes easier. Keep it simple – this is nothing new therefore it is a must that you keep business transactions simplified. People in general appreciate uncomplicated online transactions. Many businesses don’t give much thought on how difficult or easy it would be to complete the checkout process. How can you simplify the checkout process and be able to improve ecommerce customer experience? Shopping cart viewing. While customers shop around, shopping carts must be clearly and easily accessible in every page. A window pop-up may prove to be useful if a customer would like to add an item. This will notify them that they are about to add an item so they can confirm whether they like to proceed with the checkout. Include prices and fees on the shopping cart. Do not mislead your customers in any way. The prices and fees applicable on the items the customers have chosen including shipping and tax fees must be included in their shopping cart. Also, you should also include any special offers that will allow them to save some money. Make inventory and recommended products visible. The inventory and recommended products are important for customers because they might want to buy the same item later. If the product is going to be out of stock soon, you might want to include an option for them to sign up for updates so they would know when the product is going to be available. On the checkout page, make recommended products visible especially those that are related to what the customer has purchased. These recommended products can boost upsells. There are times when a customer loses interest on the product that is going to be out of stock and divert this interest into something related instead. Offer wide variety of payment options. You don’t want your customers to drop their items upon checkout just because the payment option they preferred is not on the list. If you can, you should always offer a wide variety of payment options – especially those that are commonly used by many online shoppers. You are making things easier for them and at the same time boost customer loyalty, which will ultimately lead to higher profits later on. You could include PayPal payment options and online check apart from the usual credit card payment options. Offer account sign-up. Some of the best ecommerce platforms offer an account sign-up option before they complete the transaction. . However, this should not be a requirement because this could deter the customers and may abandon the checkout process entirely. Instead of requiring your customers, you might want to open an opportunity for them to create an account or continue with the checkout as a guest. Once they have completed the purchase, entice them to sign up by telling them that the entire checkout becomes so much easier the next time around. You’re not risking cart abandonment this way. Filling up shipping information. Allow your customers to choose whether they want the standard or the expedited form of shipping. Make the estimated date of delivery visible on this page after they have chosen their method of shipping. Make it easier for them to fill out the shipping information and do not by any means ask the customers to enter information twice. Instead, create checkboxes if the shipping address is the same as the billing address. Do this to other entries if it is deemed necessary. Ecommerce websites – just like traditional businesses – must have good customer service especially in pages where it’s for customers only like after the checkout page or confirmation email. Just because it is customer service doesn’t necessarily mean you have to interact personally with them. Nonetheless, make sure that all your contact information like email and telephone numbers are visible on every page of your ecommerce website. This gives your customers a way to keep in touch with you if they have any inquiries or issues about the product they have purchased. Do not overload your customers with information they don’t need especially in the FAQ section. Only include information that is necessary. There are times when an overloaded FAQ section may deter the customers from making a purchase. When customers do submit a ticket or calls your support lines, you should be well-prepared to manage these tickets and issues promptly and solve them in a timely manner. Any forms of delay will only cause negative feedback, which will risk losing your customers in the process. Consider having self-service customer support. A good customer support doesn’t necessarily mean personal interaction. Some people prefer self-service because they don’t have to inconveniently call support lines that will make them wait for the next available representative. Also, nobody likes to pick up their phones just to fix issues that otherwise they can do on their own. Therefore, offering them an alternative form of self-service support can benefit not only the customers but you as well. You reduce the workload of your support staff, you enlighten the customers and save on customer support expenses in the process. Regardless of your target market, today’s generation is used to promotions and communications done on social media channels like YouTube, Facebook and Twitter. Take advantage of these free platforms by creating and developing strategies that will engage your customers. This can be critical in the success of your business and may be a cost-effective solution of marketing. Furthermore, social media networks are fast communication channels that will allow you to deal with customer issues or inquiries quicker than ticket submission or calling customer support. When implemented properly, you can achieve better ecommerce customer experience that will ultimately increase revenue and loyalty. Allowing your customers to have customized experience can improve how you do business online. As you know, there are different types of customers visiting your ecommerce website (as mentioned above). It is important that you include a clear call to action that leads them to a page, which they are able to relate. Utilize a friendly – customer service tone throughout the pages of your ecommerce site so the customers will always feel valued and important. Including a personal touch to every page of your website is a must have. Customer reviews are great ways to inform potential customers what items sells best and are of good performance and quality. Potential customers read reviews a lot and it can assist the buying process making it easier and more convenient to decide. People appreciate feedback from real people who have bought and used the same product. Make sure that your customers can see these reviews prominently on the product page that they are viewing. This can greatly influence the customers’ decision to buy the item or divert their attention unto a related item. Your transaction email is one of the most important aspect of writing you don’t want to compromise. This is equally important to the content you put on your ecommerce website itself. Your transaction emails can be read by many especially those who have recently completed a sale. These are follow-up emails you send after each transaction. You need to keep the tone of the email in mind. Is it friendly, upbeat, happy? Would you be satisfied with the traditional, crafty old tone that most businesses find convenient but now obsolete? Why don’t you try out something new – a fresher upbeat tone that speaks how delighted you are of the completed purchase? Better yet, personalize the email as if you’re talking to a friend – because this is how customers are supposed to be treated. Behavioral emails are often appreciated than the old “customer service” like email because they speak of personal feelings, which customers can relate to. High quality visual content would do the same. As you know, people’s attention span is usually low on text but high on visual aids. So, if you create images instead of plain texts in your content, you are capturing much of this attention span and motivates people to shop with you while you educate them. Be concise but be informative at the same time. Caption the images in a way that it will not look messy or cluttered. Images should contain information that will tell customers what the product is but at the same time entice them to get to know it more. The eight ways to improve ecommerce customer experience mentioned in this post serve as a guide to assist you in achieving your goals. The key here is consistency and constant analysis of your current strategies. If you analyze your ecommerce business properly, you can keep customers coming back that will drive your sales high and enhance customer loyalty. You might want to explore strategies that allow you to be flexible enough. So when the world of online marketing rapidly changes, you can easily adapt to these changing times. This is how most successful ecommerce entrepreneurs do it. Are you willing to implement little extras that will benefit not just you but the customers as well? You should – because employing these little extras can go an extra mile for the success of your ecommerce company. 12 Response to "8 Ways to Improve Ecommerce Customer Experience"
I currently have a customer testimonial section on my site, however what I think I will do now is make this section more prominent on my home page. I think if people come to my site and immediately see feedback from other satisfied customers, that will increase their confidence. 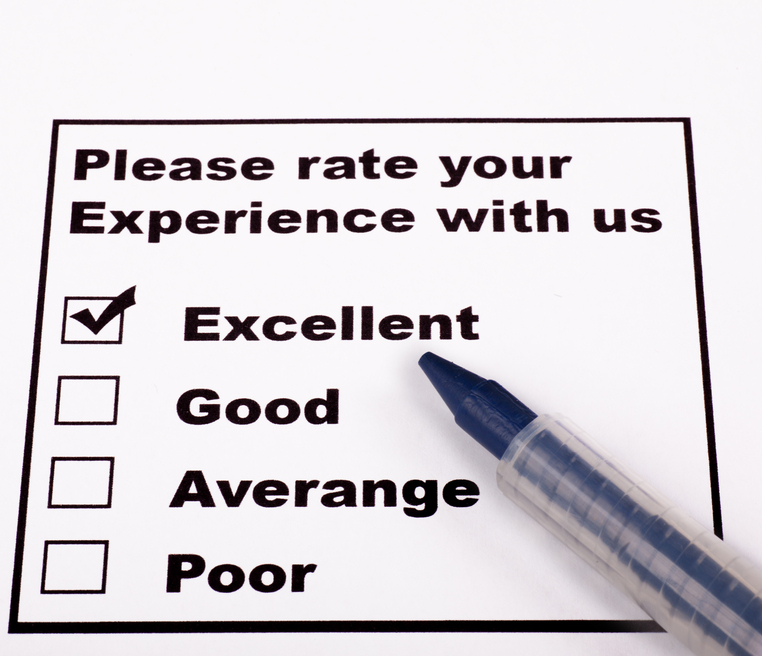 One of the tips that have really increased my conversions is the addition of customer reviews. I have found that when most people shop online they are constantly looking for validation that they will be making the best purchase. The last thing the want is buyers remorse, so if they can see many positive and honest reviews, that can really go a long way to increasing your conversions. I have found that if I up sell my clients in their order notification emails, I can inform them about other products that they may be interested in. I recently started using a shopping cart abandonment script that captures customers email and info so that I can contact them and see why they didn’t complete there purchase and encourage them to proceed with a purchase. I’ve been able to offer specials and promotions to my Facebook friends and twitter followers which has often given me a boost of sales. I have gone through a lot of effort in simplifying my checkout process. I have reduced the steps it takes for them to complete the purchase and I do not bombard them with upselling items at the end. I like to keep my customers focused on what they just bought. I feel that I can just upsell them later. With every order I now add a link to where my customers can submit a review of my product and overall service. I also send a follow-up reminder to prompt them to submit this info. So far I have received a lot of valuable feedback which I have posted to my site and I feel will help others make a decision about buying my products. Customer service is really huge. I have fond that if I can make customers happy, they will not stop talking about my company and my products and services. He you truly give them a great experience, they will tell all their friends so that they can spread the love. Good blog post !!! !Thanks for sharing these useful information! Hope that you will continue doing nice article like this.